Although it opens with higher-order aspirations, and closes with an invitation to action, it is anchored by a solid foundation of knowledge, skills and concepts. Knowledge is the stuff we think with: the more we know, the better our questions and stronger our conceptual understandings. This does not dictate a linear approach. It highlights the critical role of the expert teacher who, with subject mastery and pedagogical mastery, can create a true culture of thinking in their class, (co-)creating the moving forces of experience that pull a community of learners through the hard work of building understanding. An expert inquiry teacher inspires learners to learn lots, learn well and want to learn more. They know what needs to be taught, what has been learned and how to use this as a launching pad for exciting exploration. So what about inquiry vs enquiry? Beyond some regional variation*, I find this OUP contrast really useful in developing curriculum, collaborating with teachers and working with students. I suspect that the two terms are conflated in the minds of many (educators and non-educators). Could a clear distinction help? It helps evaluate the depth of an inquiry in terms of moving into investigation, creation and research, rather than the simple act of “looking stuff up”. Enquiry gives inquiry a poor reputation when inordinate amounts of time are spent on (perceived) “fluff”, squeezing out the opportunities for truly engaging experiences. There is a time and place for enquiry, and I’ve labelled it as “enabling” in the image below. Quick questions and known answers that have little need to expend mental energy (or valuable time): there are more efficient ways to learn about or find out simple content. The expert inquiry teacher knows which tools to select for the job. Does it require significant new learning to me, or is is re-presenting known content? Am I really learning? Am I truly engaging with the content, skills and concepts or am I transcribing items from one place to another? Am I really learning? Am I building tenacious new understanding or storing temporary thoughts? Am I really learning? If I learn this this way, will I learn this best for its purpose? Am I really learning? Am I “just Googling” or am I sorting, evaluating, synthesising? Am I really learning? Is this the equivalent of a deep investigation (or creation), or a “helpdesk enquiry”? Will I be spending my time on thinking, investigating or creating, or will I be clicking, copying or pseudo-creating? Am I really learning? If I’m working with a group, are we in dialogue, discussion and collaboration or chatting, partitioning and time-wasting? Am I really learning? If I’m using technology is it amplifying or transforming the learning, or replacing a simpler (possibly more efficient) process? (RAT model) Am I really learning? Could my learning give rise to newer, stronger questions, or will it end there? What am I doing in this inquiry that is more sophisticated than a student younger than me? For example, if I’m an MYP student, how am I asking a question that is more sophisticated than in PYP? Is this experience a moving force that will create a drive to know, leading me into learning more, or is it a gimmick that gives the illusion of learning? Am I really learning? Question Starts (Making Thinking Visible) is a very simple set of question stems that can force a student to think about a topic from different perspectives. Importantly, students need to classify and evaluate the questions. Think, Puzzle, Explore (Making Thinking Visible)… but insist on quality. Similarly with See, Think, Wonder, run the routine until the observations and ideas are exhausted. This can take questions beyond the surface. Creative Questions (Making Thinking Visible). A simple routine for interrogating proposed questions for quality and depth. Similarly, Options Explosion can be used: students list all obvious options, questions or ideas and then find the hidden options or new questions that arise. Predict, Observe, Explain (NSTA). Great for working with data of any kind, or thinking about cause/effect and correlation. This can generate many points of questioning, and can be extended into Predict, Observe, Explain, Investigate. “How else can this be used?” Visual organizer for accessing Webb’s DOK4 from different domains. Generate ideas, get the easy stuff out of the way and used it to create better inquiries. If something needs to be learned, learn (teach) it well and check it is understood. Use it to inform stronger lines of inquiry. Put in the hard work of inquiry authentic to the disciplinary/interdisciplinary investigation. Evaluate the learning, communicate and put it to meaningful action. “A Day At The Park” (excerpt), by Kostas Kiriakakis. Read the whole strip, it’s great. In the ‘enquiry’ sense, one could just look up a definition and be done with it, but I’ve been wrestling with ideas around purposeful, pragmatic inquiry for a long time (since ULL at Bath), connecting it to recent posts about DOK4 and Transfer, the ‘buoyant force’ of continuum learning and the “quest for learning”. More fundamentally it builds from the pragmatic definition of inquiry (IS Magazine) and investigating effective teaching and learning practices that allow for students to become knowledgeable, reflective, open-minded thinkers and clear communicators. There is no need for an ‘either-or’ approach to inquiry learning (in the progressive vs traditional sense); a strong inquiry experience develops the modern trivium of grammar (knowledge), dialectic (questioning) and rhetoric (communication). If you’ve been thinking about this too, let me know in the comments below or find me on Twitter. *The British vs American usage in the general sense might hold to enquiry vs inquiry (thanks Des O’Sullivan on Twitter), though here I’m trying to distinguish ‘weak’ vs ‘strong’ question-driven learning. Where enquiry might be more common in general use in the UK (Oxford), the ‘i’ form is still used for ‘a formal investigation’ and this is closer to the heart of what we’re trying to achieve in deep learning, authentic to our disciplines. British media will still tend towards ‘inquiry’ for investigation (examples at the Guardian), with ‘enquiry’ for simpler questions (examples at the Guardian). An “inquiry into…” vs “helpdesk enquiries“, if you will. To me, ‘enquiry learning’ is looser, less purposeful and (possibly) ineffective. ‘Inquiry’ in this sense is focused, purposeful and powerful, as intended the IB context (all IB docs use the ‘i’). Going all the way back to my “MYP: Mind The Gap” session at IBAP 2013, I’ve been thinking about defining effective self-directed inquiry, the role of the MYP in “preparing” kids for DP, the approaches to learning and (more recently) building in ideas of Bold Moves curriculum, the Quest for Learning and Wayfinding (curriculum as a compass). How far can we go with our frameworks to create truly self-directed, knowledgable and effective learners? My first thought was that these learners are “in control”. They demonstrate the learner profile with calmness and balance. In my class of DP biologists, there was a full range of approaches to the challenge and workload, so what set apart the highly self-regulated (and most successful) students? I started to list characteristics of learners I know from past experience have been “in control” of their learning, thinking about their mastery of the ATL skills and (from Cognitive Coaching training), how they reflect holonomy and the five states of mind (efficacy, consciousness, craftsmanship, interdependence and flexibility). Ever the sucker for a nice acronym and positive imagery, I sorted them out to yield “TEMPER”. Defined as a state of mind between anger and calm (that works), or the balance between hardness and elasticity in a metal (I like that too). Flexible, calm, tempered students in a state of flow can be highly self-regulating. Conversely, what’s in low resource in a student who is demonstrating inflexible, stressed or angry behaviour? So, here goes. Cod-psychology at its finest, but an intellectual toy for me and a starting point think about how we might identify and develop traits of self-regulation. The tempered learner is in control of use of time. They are less stressed by deadlines, but “ship” the goods on time. They have autonomy of their use of time in class and outside, but are disciplined in their approaches. Could a strong self-regulated learner be in control of their own schedule and learn more effectively and efficiently than our regular timetable allows? Edit (April 2018): I switched this from time management to time mastery, in the Cultures of Thinking sense: where we and our students become the masters of, not slaves to, time and in which we make purposeful choices on how we invest our time as a statement of learning values. The tempered learner is in control of their affective skills and aware of their emotional responses. They understand how emotion interacts with the other ways of knowing, how their emotion might affect their learning and relationships and how to plan or respond accordingly. They “fail forwards” and bounce back from challenges with positivity. The tempered learner is in control of their own drive to succeed, valuing the process that leads to a quality product. 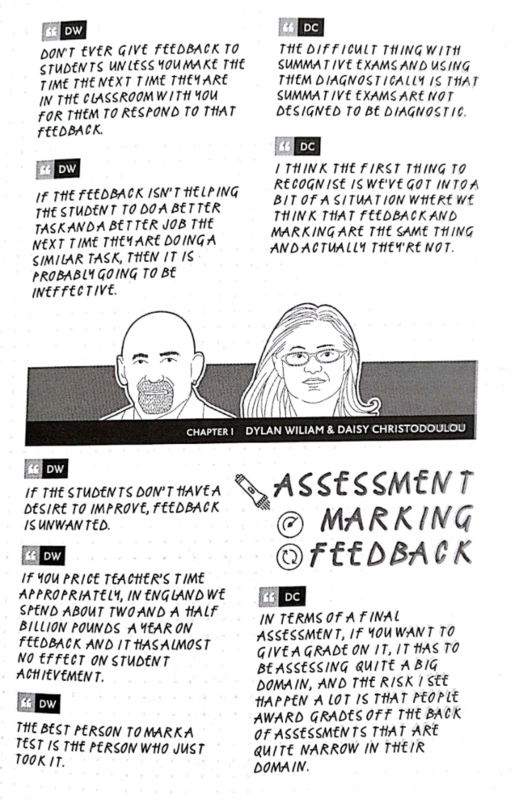 The most self-regulating students in my own classes tend to be those that see feedback (in any form) as a step towards success, can see the gap between where they are and where they need to be and know how to close that gap through mastery. The tempered learner is in control of their physical & mental wellbeing. They eat well, move lots, sleep plenty and seem to enjoy life even in stressful times. They maintain balance with physical and creative pursuits, family and connection. It’s tough to see students succumb to stress, evidenced by visible changes in wellness, and signals issues in our systems and/or their self-regulation that need to be addressed. What are their avenues to physical health and talking about (and taking action on) mental wellbeing? The tempered learner is driven by a purpose beyond chasing grades. They demonstrate clarity of purpose in the course, programme or pathway even if their own career outcome is not clear. They set and achieve challenging, realistic and meaningful goals and demonstrate effective strategies (such as use of feedback) that will get them there. The tempered learner is effectively reflective, generating their own cycles of feedback, planning and action. They are highly metacognitive, learning well from their experiences, building on success, avoiding repeating mistakes in the future and making connections across contexts through transfer. What happens to the ill-tempered learner? Reflect for a moment on what might go wrong if a student is not self-reliant in one more of the TEMPER traits. What are the causes and effects, and what has been our role as a the expert (or system) in leading them to that place? What needs to be fixed and what does that learner need in order to become more self-regulating? Let’s push the image to breaking with thinking about the role of the teacher in developing truly self-regulating learners. Iron alloys, like steel, are made stronger and less brittle (more flexible) through tempering, a process of careful heating and cooling. How is this analogous to the role of the teacher in developing the tempered learner? What are the repeated processes we use to help create, strong, flexible young adults who can guide their own development and take on the world? Each of the TEMPER traits are teachable, practicable and observable through the approaches to learning and many effective strategies. This is where the role of the teacher as an activator (rather than facilitator) of learning is critically important: to explicitly use and evaluate effective methods. 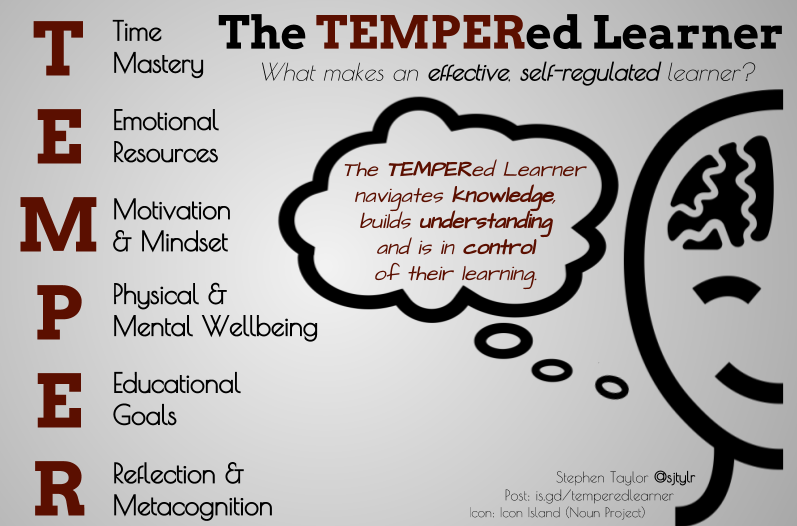 The learners themselves become experts in learning: the tempered learner can set their own path to success through self-regulation. I love this band, with their Indonesian lead singer, soaring choruses and interesting lyrics. Trembling Hands is a favourite: laced with aspiration, filmed in Cuba and showing the triumphant tempering of an acrobat’s mettle. Categories: Approaches to Learning, Hattie / Learning Impacts, Inquiry, Understanding Learners & Learning | Permalink. This article, “(Re)defining inquiry for international education,” is based on a thread of thought started with my “MYP: Mind the Gap” conference presentation and continued with an MA assignment. 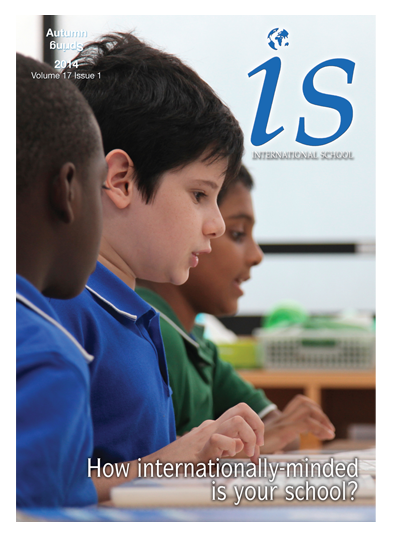 It was published in the most recent issue (Autumn | Spring 2014) of International School Magazine, edited by University of Bath tutors and international education gurus Mary Hayden and Jeff Thompson. In the article “(re)defining” refers to clarifying the meaning of the term inquiry, so that we can give access to high-quality inquiry learning to students through the whole continuum. It builds on anecdotal experiences in discussions that ‘inquiry’ has been framed from one end as a weak, free-for-all alternative to teaching and critical reasoning. This is a misinterpretation, and the article advocates for a reminder of what inquiry is and a working definition of inquiry as “critical reflective thought“ (after Elkjaer & Dewey) that is future-oriented, but based on strong foundation of effectively-taught skills and knowledge (after Vygotsky, Hattie…). From the other end, it is important to understand that inquiry looks and feels very different as disciplinary studies become deeper and more authentic. This is of particular importance to IB schools. Stakeholders need to understand that an inquiry-based framework is not a knowledge-free curriculum, and that a high-stakes test-based assessment at one end is no excuse to crush the exploration out of the learning process. In essence: we create an outstanding curriculum that gives students knowledge and skills to work with and has lots of room for them to put them to use in critical, creative and reflective problem-solving. Use high-impact strategies to teach those skills and that knowledge, to avoid misconception and to ensure that these critical thinkers have a solid foundation of raw materials for future learning. Click to read my article on Inquiry in the Autumn | Spring issue of International School magazine. 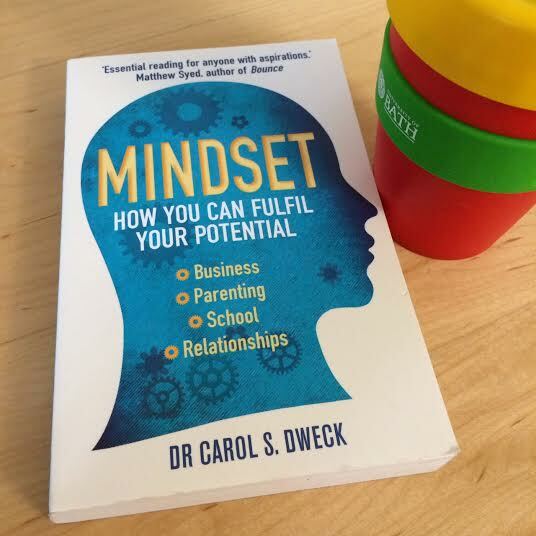 After reading/hearing so much about Carol Dweck’s Mindset over the last couple of years, I was finally able to read the book on the train from London to Bath. I’d become so familiar with the ideas that it felt like 200+ pages of déjà vu, although the main messages are perhaps worth reinforcing. It’s an easy read, in a style similar to Pink, Goleman, Gladwell and co., though I did find myself skimming over yet another American sports example (Woods, Wooden, Jordan, Wie, Yankees, McEnroe). There were some interesting sections on leadership, parenting and relationships, though I was really looking for more practical advice on how to build growth mindsets in my students. A fixed mindset is seen as a personal success or failure, a (permanent) label on a person of their worth. Fixed-mindsets value ability over effort and when effort is put in it is in order to affirm one’s status at the top; they might be seen to ‘learn’ a lot as they perform highly in tests and assessments, but this may be due only to the effect of their achievement affirming their fixed mindset. Fixed mindsets see difficulty as a weakness or threat and so may not put in the effort in case they fail. Growth mindsets embrace the challenge of difficulty and see the value in learning as a journey. Growth mindset leaders and teachers embrace their own personal learning and seek to develop learning communities: it is OK to not know… yet. Growth mindset leaders take time to listen, learn and evaluate fairly. They surround themselves with knowledgable inquirers and weed out the fixed mindset culture of fear and/or affirming status. They might be lower-key than the high-powered fixed-mindset hero-leaders, but they build a more sustainable and trusting culture. 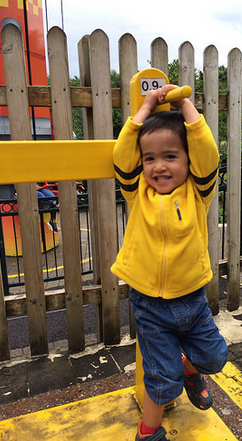 Samudra, determined to ride the space tower thing at LegoLand. Photo (c) Stephen Taylor. It is clear that our words and actions as parents and teachers reinforce kids’ views of themselves and their behaviour adjusts accordingly. By focusing on personal feedback (praise or criticism), we may affect the mindset of the child, either reinforcing the ego or damaging the student’s motivation to improve. By focusing on tasks and processes, looking at how we can improve, we might help students develop more growth mindsets. A good strategy for effective feedback that builds on the growth mindset might be Hattie’s Three Levels (Task, Process and Self-regulation). When we focus on ability-related feedback, conversations or behaviours are we limiting the growth mindset? Dweck suggests that this is compounded when the curriculum is ‘dumbed-down’ and that having high expectations for all students, coupled with valuable feedback, will increase achievement. Sounds obvious, but may not always play out in class. Avoid the temptation to make the curriculum easier for the ‘less able’ students and instead Differentiate Up from a core. Challenge everyone, support everyone. We all want our students to do well, but more than that we should want them to love learning and become enthusiastic lifelong learners. Taking steps to weed out fixed-mindset behaviours and language from our classes and our cultures in order to develop strategies towards becoming more growth-oriented might bring us part of the way. This is where we can start to see the importance of the Affective skills clusters of the IB’s Approaches to Learning, and will likely be an area that requires significant teacher (and parent) professional development. Coupled with a strong curriculum and high-impact teaching and learning and we might just get there. “I used to think you were smart.” Calvin and Hobbes strip that neatly sums up fixed vs growth mindsets, used on p40 of Dweck’s Mindset. I’ll admit, the idea of Mindset seems a little too neat for me – we are more nuanced and complex than either-or (which she recognises in the book). Personally, for example, I would see myself as very growth-mindset in that I seek development, learn more and reflect on everything; however, I can take perceived failure or criticism very personally, which is a more fixed-mindset trait. I also recognise that the book is aimed at a mass-market audience, and so there is much reference to ‘our research’ without a lot of depth. I would prefer a more academic, education-focused edition of this, with fewer popular-culture, big-CEO or sports stories and more about how this has been investigated. As a tool for teachers, the language of fixed vs growth mindset will make it easier to have conversations with students and parents, and we can develop or make use of strategies that reinforce the nature of learning as a growth process. I am looking forward to seeing how schools start to put some of these ideas to use in their development of the Approaches to Learning. I have added this book to the MYP Coordinator’s Bookshelf , but would really recommend any of the other books as good reads before moving onto this one. This is a total cheese-fest, but anyone who says they don’t like Dolly has a heart of stone. Her recent single, Try, does a pretty neat job of capturing the Growth Mindset and the role of effort in success – and it’s the theme song for her literacy charity, Imagination Library. Categories: Differentiation, Leadership, Professional Development, Understanding Learners & Learning | Permalink.